The Forest Trust (TFT) is a global non-profit membership organization that helps companies and communities deliver responsible products. Our members are international retail and manufacturing companies committed to sourcing responsibly-produced products, meaning products that respect the environment and improve people’s lives. Since 1999, TFT’s main focus has been to provide solutions to the issues of deforestation and the empowerment of forest dependent communities through market-based incentives. We act on the ground internationally in forests, farms and factories to help resource managers learn best management practices. We are active at key stages of the supply chain, providing unrivaled technical, traceability and communications support also concern in the exploitation of people as huge issue in global supply chain. We currently have offices in 15 countries and employ more than 90 people worldwide. TFT Indonesia is seeking a Senior Level Manager to help identify develop and deliver practical solutions to the issue of exploitation of workers in global supply chains. 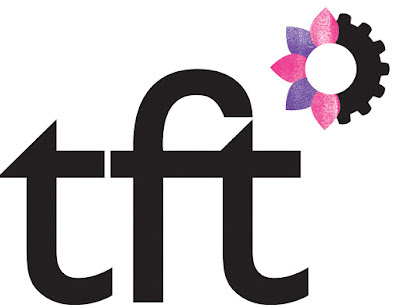 Information on TFT’s work to date in this area can be found HERE. The candidate should have a strong social auditing background with a comprehensive understanding of Indonesian labor issues and laws, related policies and practices, including child labor, wages and contracts, ethical recruitment, health and safety, etc., as well as excellent skills in engaging with/advising stakeholders and in producing high quality reports in English. Ideally the candidate will have experience working with informal supply chains. The candidate should be articulate in English and Bahasa Indonesia, well-organized, practical and solutions-driven. The position is full-time and based in TFT’s Jakarta Office with frequent travel required. Jointly with TFT’s Centre for Social Excellence (CSE), develop workshops for TFT member company staff to improve their labor standards in accordance with TFT’s No Exploitation principles and the companies’ own policy commitments. Raise awareness of labor issues/workers’ rights policy commitments among our member partners’ suppliers, and gauge suppliers’ willingness and capacity to improve their operations in accordance with the policy. Support suppliers to develop guidelines and standards in accordance with the member company’s policy and based on TFT’ No Exploitation principles. As part of TFT’s global team of experts on labor issues, develop tools and resources to support both TFT teams and our member partners along each step of TFT’s VTTV approach—Values, Transparency, Transformation and Verification. Prepare, review and/ or approve reports related to field work. Internal monthly progress reporting on all works described above. Staff are often required to work outside office hours to fulfill the duties of employment. This position will require regular meetings, often with executives and senior managers of large, multi-national corporations, as well as extensive travel throughout Indonesia to visit palm oil plantations and forests. The ideal candidate is prepared to work in both corporate and field settings. Senior auditor accredited by RSPO/ISPO. SA8000 highly desirable. Minimum seven years relevant professional working experience. Experience managing a multi-disciplinary and multicultural team. Strong reporting and interpersonal skills. Bachelor’s degree. Master’s degree highly desirable. In-depth understanding of Indonesian labor regulations. In-depth understanding of key issues related to workers’ rights in Indonesia (e.g., use of short-term contracts, minimum wage, health and safety issues), as they relate to specific industries (palm oil and pulp and paper in particular). Palm oil and NGO experience highly desirable. Must be able to translate strong audit background to the TFT approach – TFT does not audit its members but supports them along their journey to becoming more socially and environmentally responsible. Please indicate the Job Code ‘NO-EX PROGRAM MANAGER’ in the subject of your email. Only shortlisted candidates will be contacted. No phone inquiries will be accepted.